I’ve been eating clean for a little over three weeks now. There have been many scrambled egg whites, bowls of oatmeal, protein supplements, fruits and veggies. I’ve had more almond butter than I probably should and more quest bars than I will admit, but for the most part my meals are 100% natural ingredients. 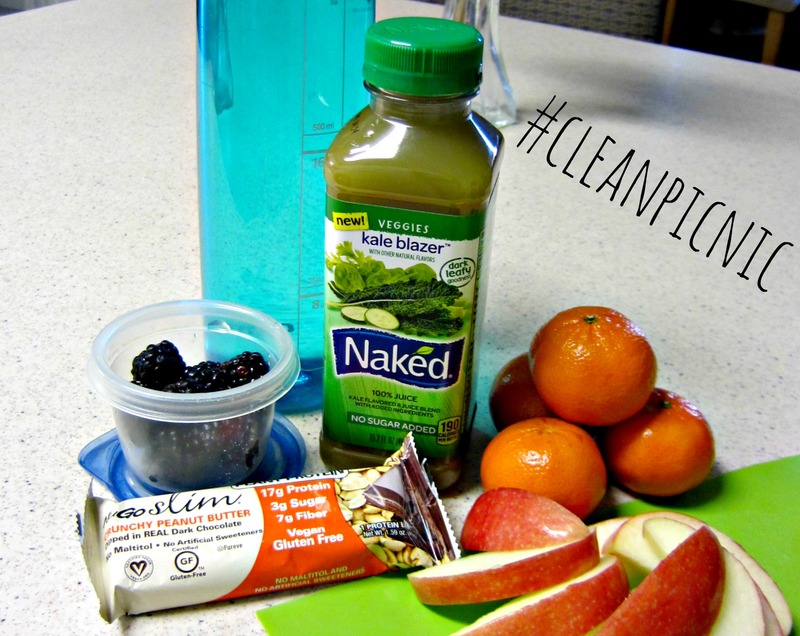 So I thought I would share some of my more appealing looking meals & snacks today! Because even though it may seem like I’m “limiting” or restricting my diet, there really are countless options, tons of ingredients to play with and I am able to get plenty of calories (not too mention all the necessary nutrients) without getting bored of the same ol’ things. 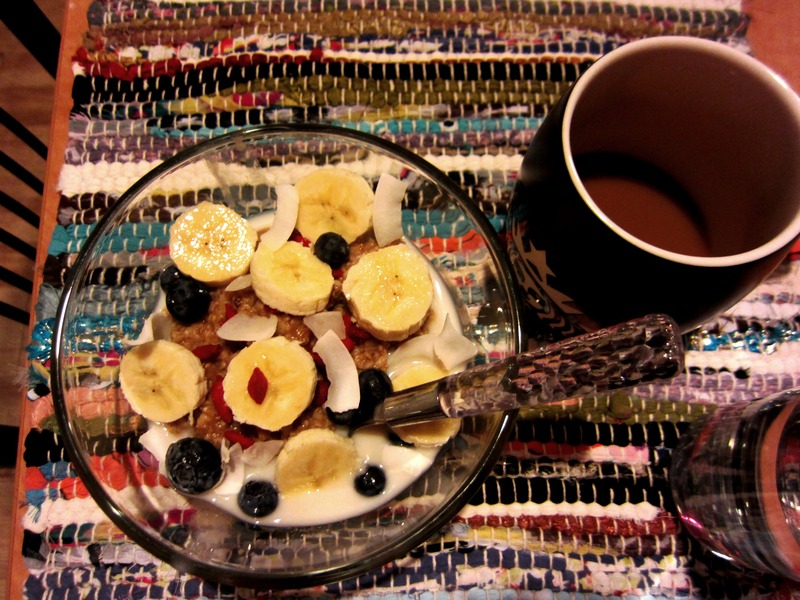 Steel Cut Oats with blueberries, banana slices, toasted coconut, goji berries, cinnamon and almond milk. Coffee of course, with almond milk and 1/2 packet of stevia in the raw. 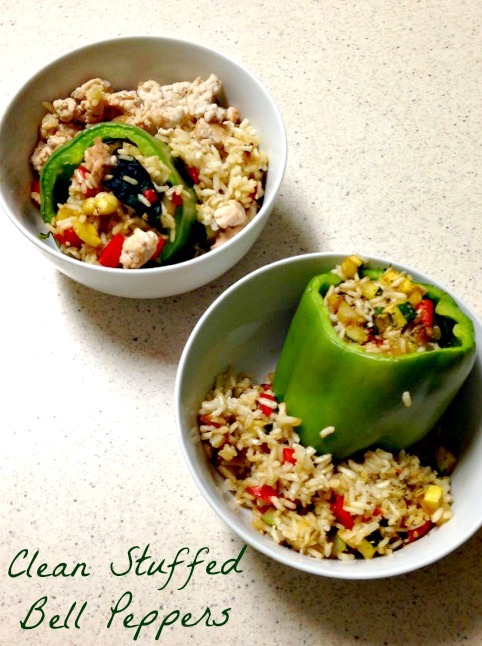 Stuffed Bell Pepper with brown rice, lean ground turkey, onion, zucchini, more bell pepper and a splash of liquid aminos. 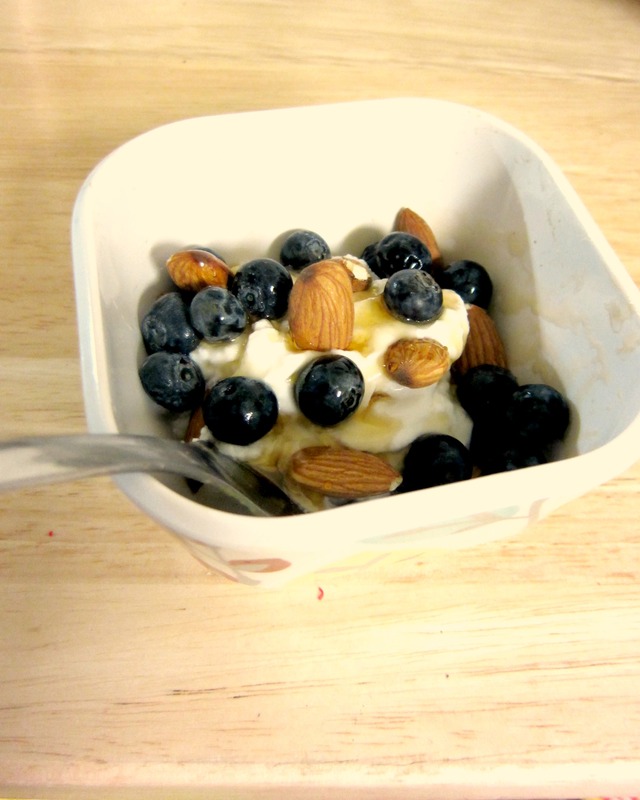 Snack bowl with raw almonds, fresh blueberries & a drizzle of blue agave. 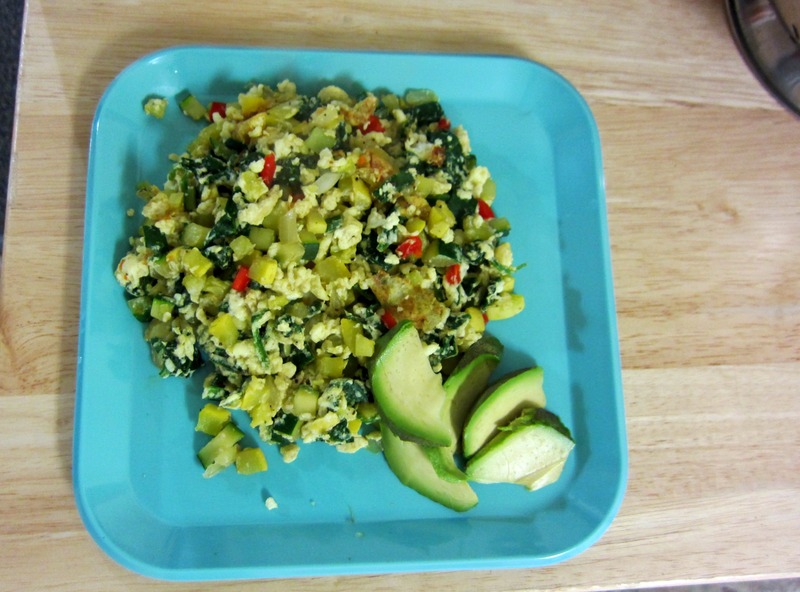 Egg white omelette loaded with diced yellow & green zucchini, red bell pepper, sweet onion, spinach & topped with avocado. 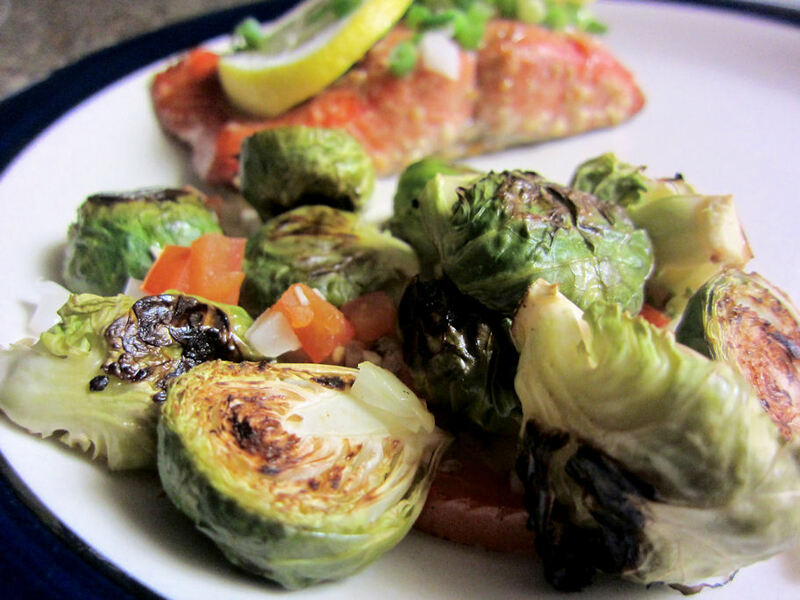 And roasted baby brussel sprouts! This is just a tiny snapshot of what I eat. There are many more protein bars/protein shakes/fruits/baked sweet potatoes and spoons of almond butter.Even though my diet is “clean” I can still do a better job of eating more greens and natural proteins and less bars/powders/butters. But I’m getting there! My personal favorite: Strawberry Banana Oat cookies. Vegan, clean, and gluten-free!